Sapa is a poetic land, one of the most beautiful tourist destinations in Northern Vietnam. No matter what season you come in, Sapa also has its own attractive beauty. 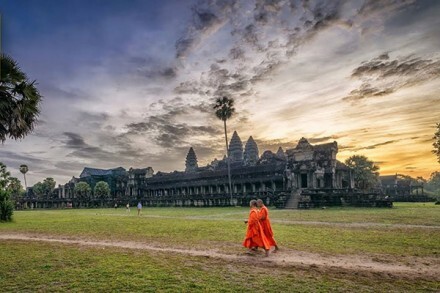 If you have the chance to immerse the picture of cascading rice paddies, majestically green plains, and towering mountaintops, you will surely be amazed at this landscape. So, whenever you feel tired, enjoy one Sapa trekking 2 days tour. You will forget the busy city and immerse yourself in the beautiful natural scenery as well as the peaceful life here. Before going and exploring this beautiful land, firstly you should look for information about it check the weather carefully. 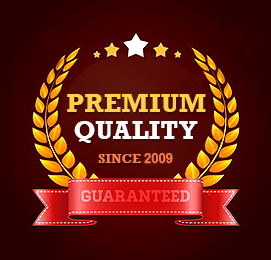 Then prepare the necessary things for the trip such as a reasonable package, snacks, and drinks. Moreover, in a highland region, the route is difficult for you to trek so you must have a good pair of shoes. You should also prepare a hat and raincoat. In order to save time when moving to Sapa, you should take a night train or night car. If you go by train, you will spend the night about 6-10 hours and when you wake up, you are present in Lao Cai. After that, you will be transferred by a shuttle bus. On the other hand, night car will stop near your hotel, so you can choose the most suitable transportation for yourself. When you are at the hotel, you will have a breakfast and short time for relaxing after a long night transporting. After that, we will be ready to start the Sapa trekking 2 days tour. The first destination is Ma Tra village. a new travel destination in Sapa. This is a small simple village hiding away from civilization. 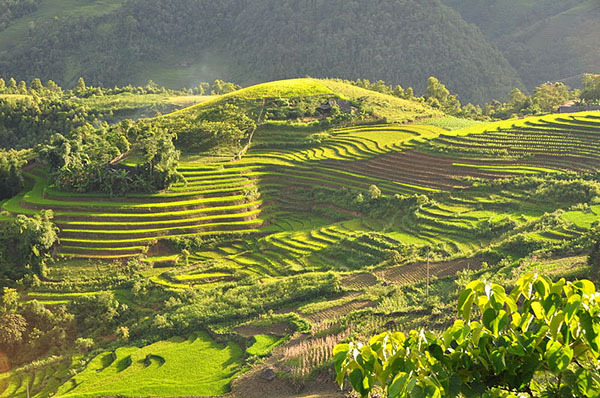 To get there, you will have to trek through the rice paddy fields and spectacular scenery. On the route, you can be able to visit a local school. It is just a small but very warm school. Here, you can meet many children, they are all cute and pretty. 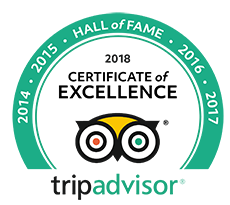 You and your guide will continue the trip by walking to a local house in the village, having lunch, tasting some special dishes made by the host. Then you should have a small rest to prepare for the next trekking. In the afternoon, after being energized, you will continue your Sapa trekking 2 days tour by exploring another traditional village in Sapa. 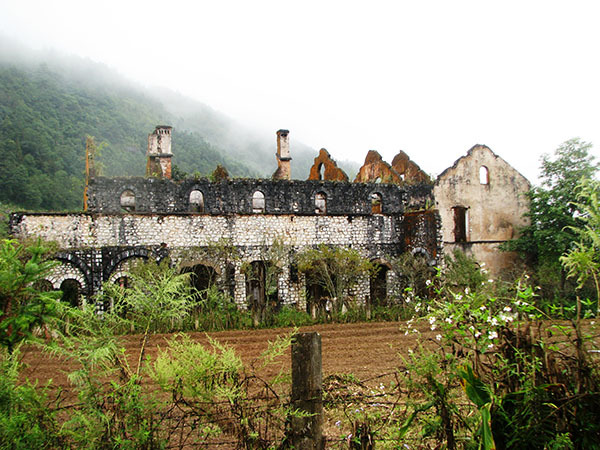 Trekking through the breathtaking landscape, you will reach Taphin village. This is the place where Red Dao and Black H’mong – 2 largest ethnic communities of Sapa live. You can recognize them by unmistakable costumes. They have the unmixed cultural life and both very famous of handicraft. The Red Dao are known for their expertise in herbal medicine and they use plants from the land and the forest to treat many illnesses. Your local guide will be able to introduce you to some Red Dao women and they can tell you more about their remedies. Especially, you can have a bath Red Dao herbal medicine when you come back to the town, it is so interesting. This service is various in Sapa. In addition, when trekking through the Sapa’s forests, you also have the opportunity to visit local houses and admire the spectacular caves. Finally, you will return to your homestay to enjoy your night after a long day of exploring. After discovering the life and culture of two ethnic groups Red Dao and Black H’mong, we will meet another community, that’s Giay people. 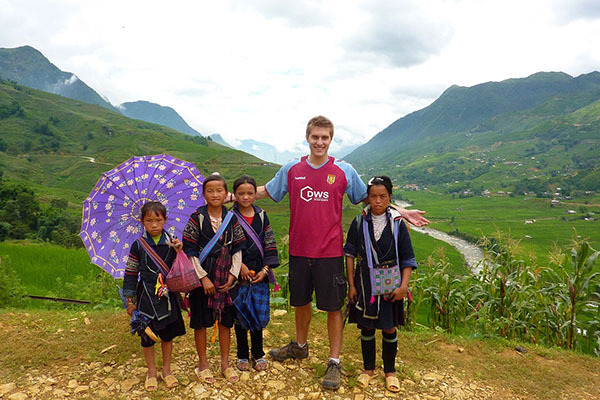 In the morning, you will meet your local guide at the hotel, and then trek to Lao Chai village, a village of Black Hmong ethnic people in Sapa trekking 2 days tour. This is the place where ethnic minority people reside, about 7km from the center of Sapa town. 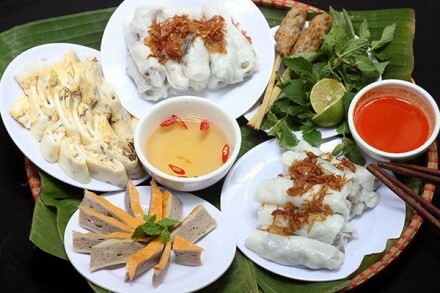 You can go along Cau May street, then turn to Muong Hoa and start your journey away from the bustling and crowded streets. Visitors begin to experience a different life, the meaning of the village. Lao Chai is not noisy, crowded as in the center of Sapa town. It ‘s hidden between the two sides of the mountain. Its natural scenery is so peaceful and majestic that make visitors feel like they are lost in a fairyland. In modern life, this village has electricity poles and asphalt roads to the village. However, it still keeps the peaceful life. Visitors can feel the unique, simple and rustic culture of the ethnic minority village in the highland area. 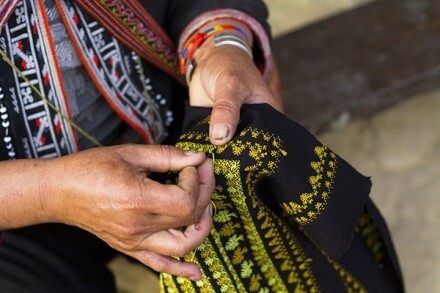 Here we will have a chance to discover more about their daily life and learn how to make their traditional clothes, indigo, handicraft,… We will visit the biggest valley which offers to you the best views of the golden rice terrace field in Vietnam. After that, we continue to trek to Ta Van village, where the Giay ethnic people live. It is a small group living in Sapa Vietnam. They still preserve the rich and traditional culture. 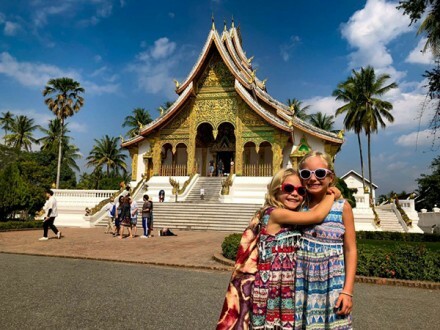 We will visit a local family in one of the beautiful traditional houses located on their rice paddy fields and taste their traditional cuisine for lunch. Here, many Vietnam ethnic minority community gathers and live for a long time in harmony with each other. When visiting this village, tourists can be impressed by the beautiful natural landscapes, experience staying in a homestay, as well as enjoy the traditional cuisine of this place. This provides a great chance to share their customs and daily life. After a little break, you will get ready for the next places in Sapa trekking 2 days trip in the afternoon. You continue to trek through a bamboo forest and the beautiful terraced rice fields to Giang Ta Chai – home of Dzay, Red Zao, Hmong people. Giang Ta Chai village is 15km far from Sapa town. Located at the right side of Muong Hoa Valley, Giang Ta Chai is one of the must-come villages in Sapa for visitors who want to experience the colorful traditional customs. Giang Ta Chai lies silently by a majestic waterfall and was hidden by old trees and bamboo groves. Here visitors can see the romantic Muong Hoa Stream. On the narrow path to Giang Ta Chai, visitors have to pass through this stream which flows slowly day by day in Hoang Lien forest. Coming to the village, tourists will be charmed immediately with the out-standing traditional costumes of the local people, and most of those clothes are made from natural materials. Have an overnight homestay of local people, you will have a chance to experience the lifestyle of Red Dao through their folk songs, traditional dances or their handicrafts. You will be able to enjoy the genuine friendliness and hospitality of the villages and have a chance to speak with the locals. We will cross an old timber and rope suspension footbridge. After taking a rest nearby a waterfall to refresh, you will start climbing uphill to a road, the car and your driver are ready for your journey back to Sapa. The Sapa market is a unique cultural economic activity, opened every day of the week. This is a place to exchange and buy a variety of goods and local products, as well as a chance for Highlanders to go to markets. But things that attract ethnic women and tourists the most is the stalls of jewelry, dresses, brocade… Here, you can freely choose brocade products, dazzling with colorful colors of dresses girls Mong, Red Dao ethnic minority. Foreign tourists often like to admire the hand-woven paintings with vivid motifs and beautiful harmonious colors. 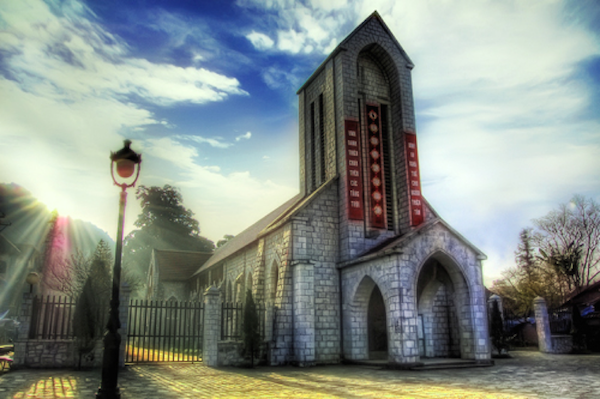 The Sapa Stone church is a famous tourist spot here where holds many traditional cultural activities of ethnic groups. On Saturday, in the front of the church, there are many unique cultural activities of the local people. You can see flute, trumpet leaves and “xòe” dance. 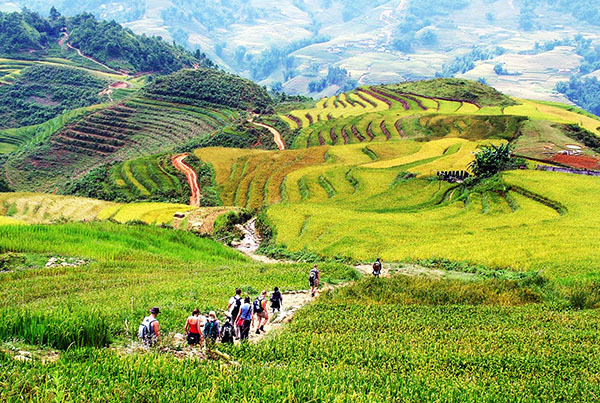 They created a magical and ùnorgettable atmosphere in your Sapa trekking 2 days trip. This is a popular waterfall in Sapa that fall from the top of a mountain with its height about 100m. It is enveloped by a range of mountains, undulating landscapes area. Many people say the cascading falls appear as a mighty white dragon peering down onto the valley. Standing at the foot of the waterfall, you will see the beautiful nature image and mountains and I’m really sure that you will feel so small when seeing wonders of nature. Dubbed as the most beautiful valley of sapa, Muong Hoa Valley lies between two high ranges of mountains in the southeast of Sapa town. 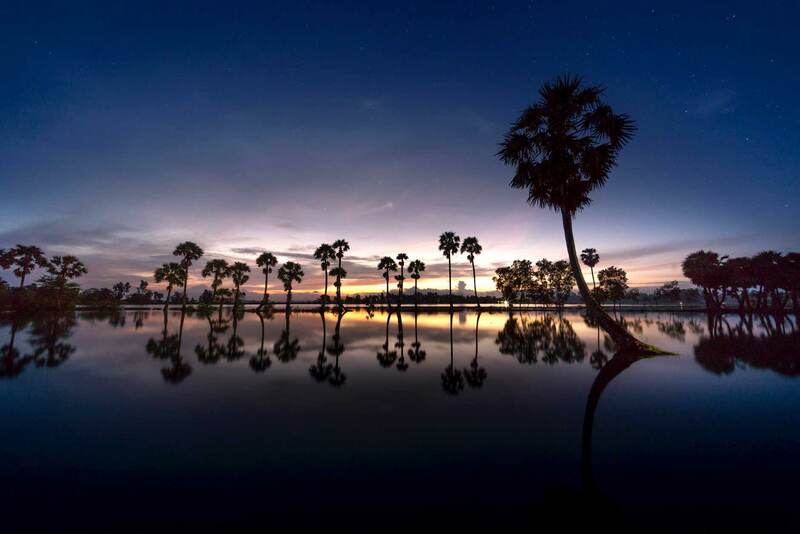 Its most defining feature is Hoa stream, stretching through the Ta Van, Lao Chai, and Hao Thao villages and there are mysterious carved stones and curious graphics spread over several kilomItsIt. It will be a pity if you do not come here in your Sapa trekking 2 days trip. 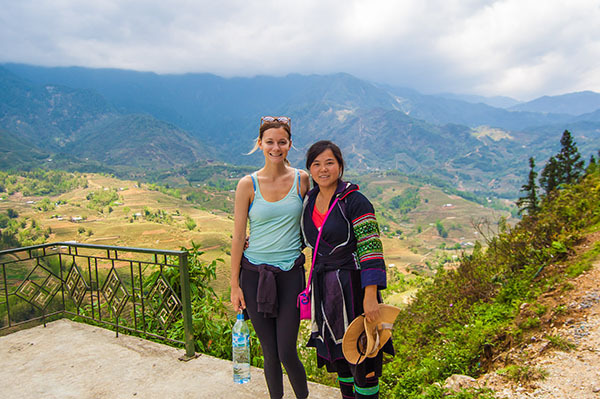 After your Sapa trekking 2 days tour, you will definitely be impressed with the majestic scenery, friendly people and interesting culture here. Do not hesitate and go discovering this beautiful mountainous are now!